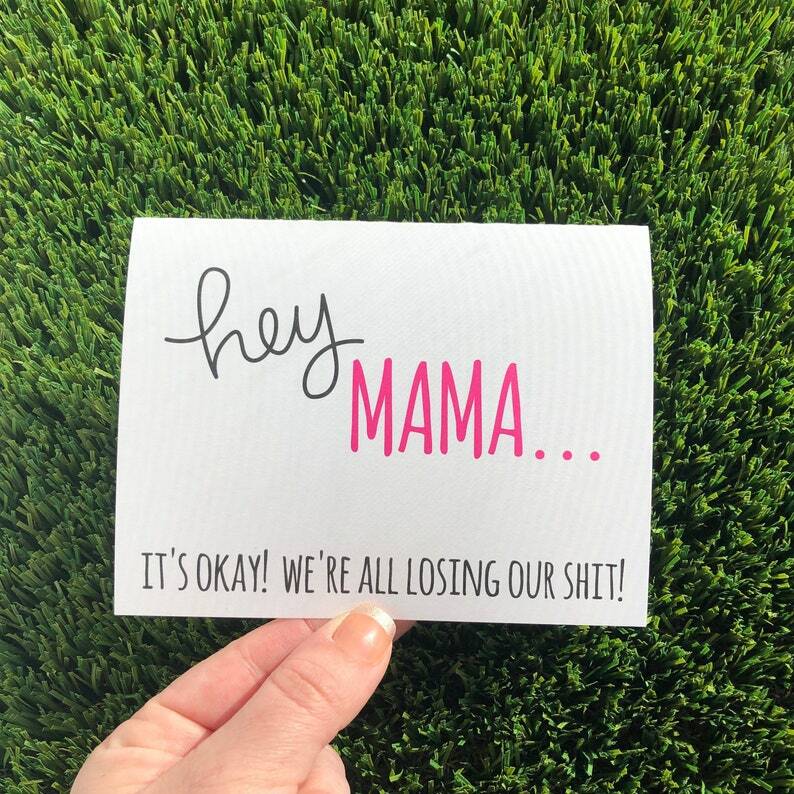 This greeting card is perfect all year round for new moms, old moms, moms to be, etc. 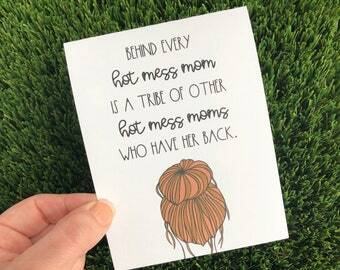 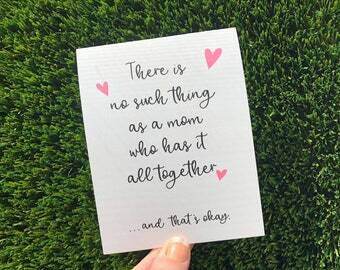 All of us moms have gone through the same types of struggles and sometimes we need a little pick me up! 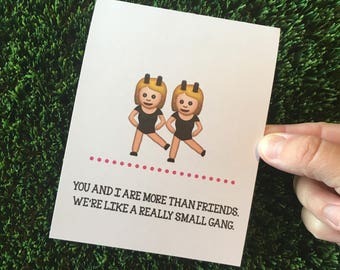 It's so nice to feel like you are not alone! Check on your other mom friends, or your sisters, cousins, aunts, co-workers, etc that are moms...take a break from the texts and snapchats to send them a laugh with an unexpected note in the mail!